This study was conducted to examine the effect of compound circular exercises on hematological variables and immune system of non-athlete female students. A total of 100 non-athlete female students of Kerman University of Medical Sciences (with an average age of 22 ± 1.62 years, weight of 61.54 ± 8.84 kg, height of 164.1 ± 5.03 cm, systolic blood pressure of 12.31 ± 3.65 and diastolic blood pressure of 8.31 ± 2.02 mmHg), who were eligible to enter the study, were randomly selected from volunteer students. The exercise program consisted of resistance–endurance exercises through the circular method in one session. Hematological variables, including red blood cell (RBC), hematocrit, hemoglobin, mean hemoglobin, mean hemoglobin concentration, mean RBC volume, platelet volume, plasma volume, lymphocyte and neutrophils, were measured before, immediately and 24 h after exercise. ANOVA with repetitive measurements was used for data analysis and post hoc Bonferroni test was performed to study hematologic changes. The results indicated an insignificant increase in RBC, hematocrit and hemoglobin immediately after exercise and significant reduction 24 h after; moreover, lymphocyte and neutrophil percentages increased significantly immediately after exercise and decreased significantly 24 h after exercise (P ≤ 0.05); however, there were no significant differences in other variables either immediately or 24 h after exercise (P ≤ 0.05). 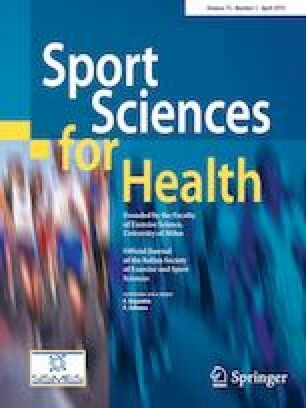 The results of this study indicated that one session of compound exercises with circular method could affect hematological variables; hence, compound programs of resistance and endurance exercises should be prescribed considering the intensity, duration and other circumstances of the exercise.